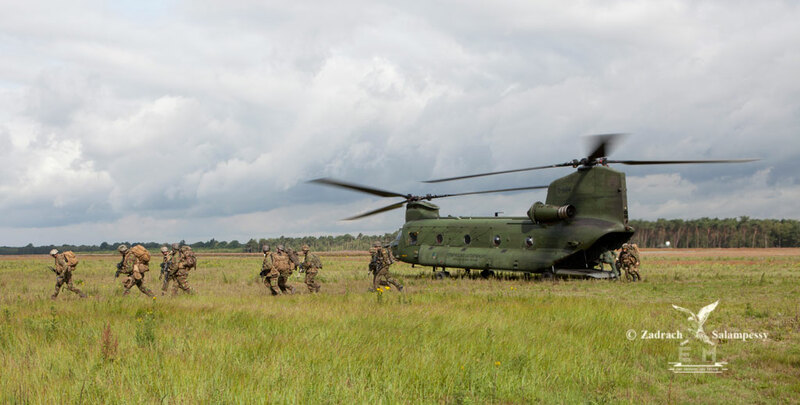 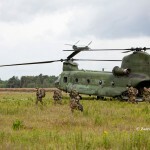 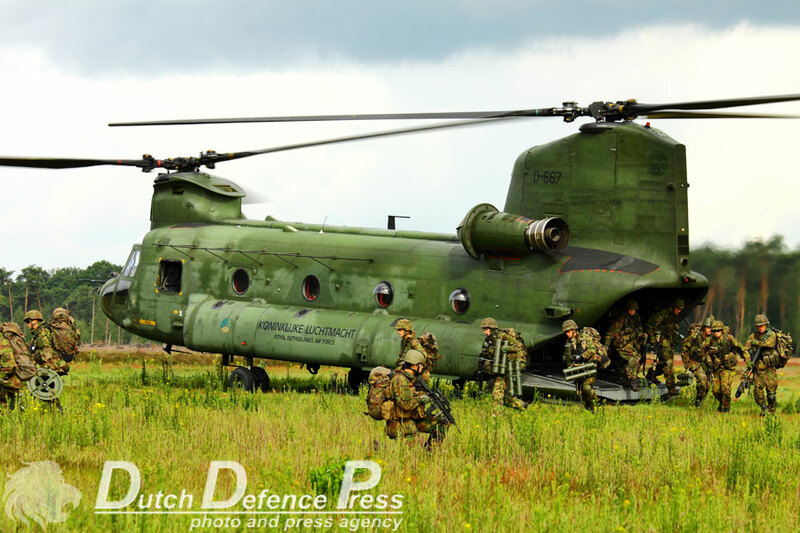 Royal Netherlands Air Force (RNLAF) CH-47D Chinooks, AH-64D Apaches and Belgian Air Component Agusta A109s provided rotary wing support during the binational special operations exercise ‘Lowlands’ recently. 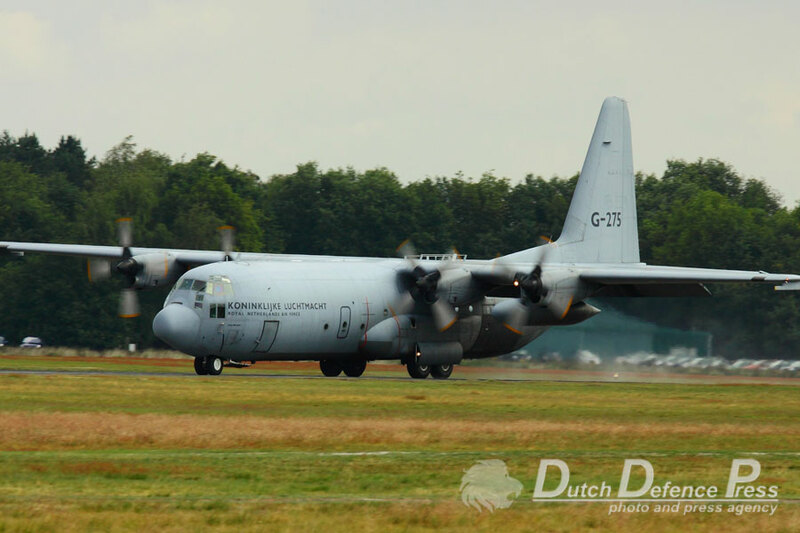 Dutch and Belgian C-130H Hercules transport aircraft took part as well. 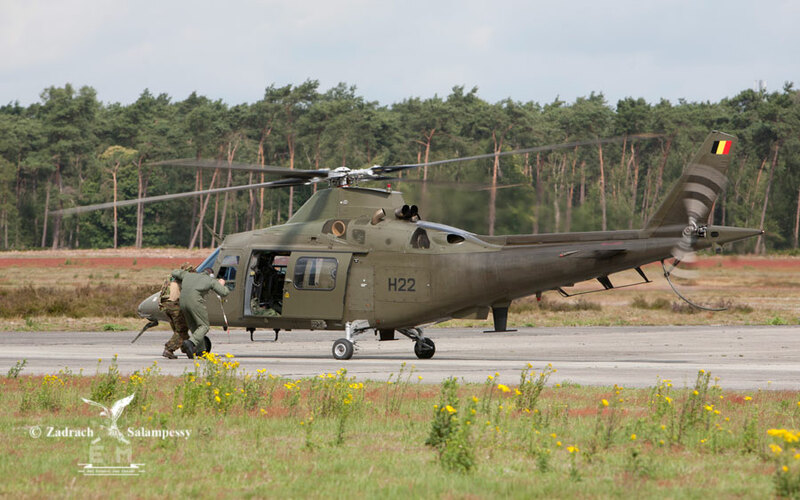 They delivered tactical air landing capability to bring in follow-on forces. 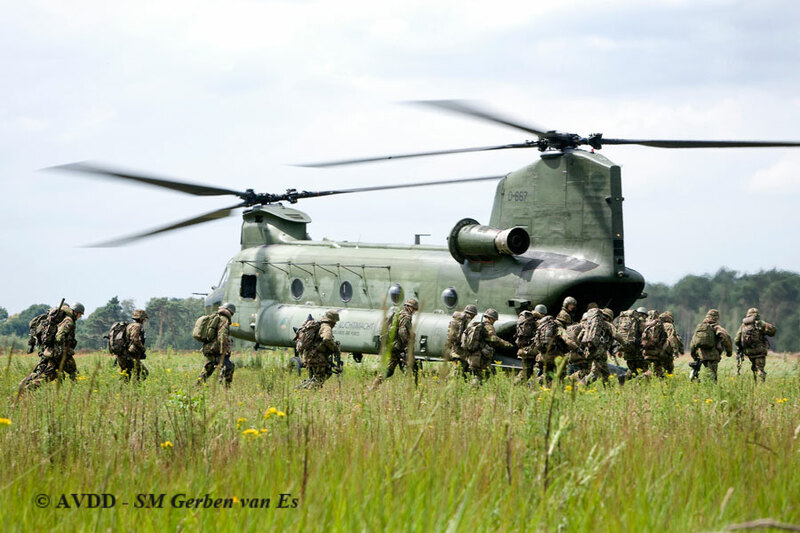 Together, these helicopter and fixed wing assets operated as a special operations air task group (SOATG) during the exercise. 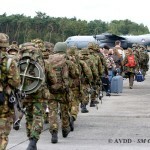 It was also envisaged that participating C-130s would be used for airborne deployment of ground troops, a number of scenarios during ‘Lowlands’ favoring the initial use of paratroopers. 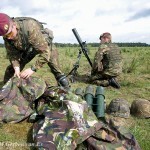 Military freefall (MFF) techniques were to be used to insert special forces by parachute. 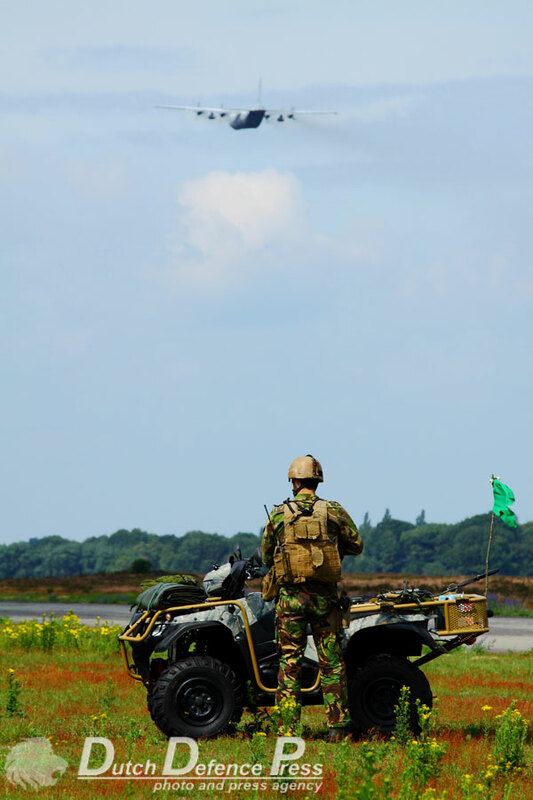 Static line jumps, with parachutes opening automatically, were to be used by light infantry troops taking part. 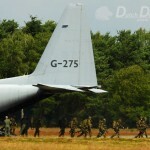 This didn’t materialize however due to winds exceeding airdrop limitations or aircraft being unserviceable. 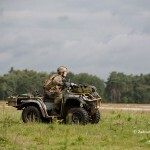 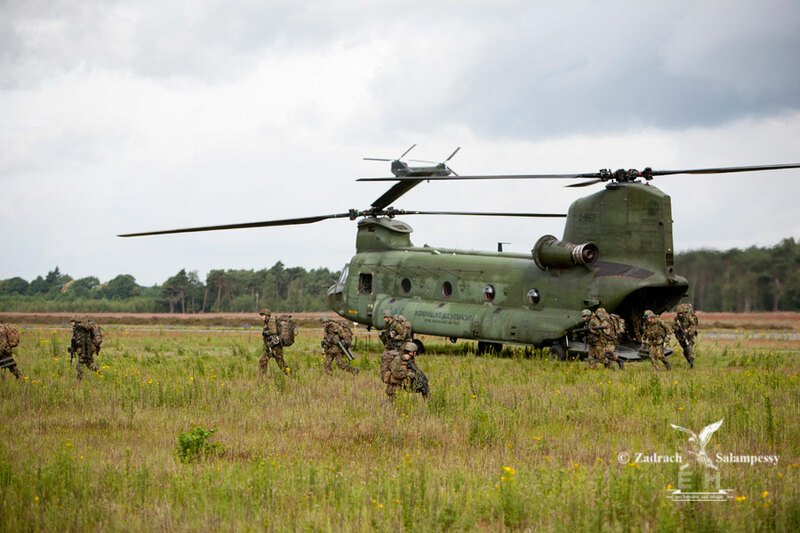 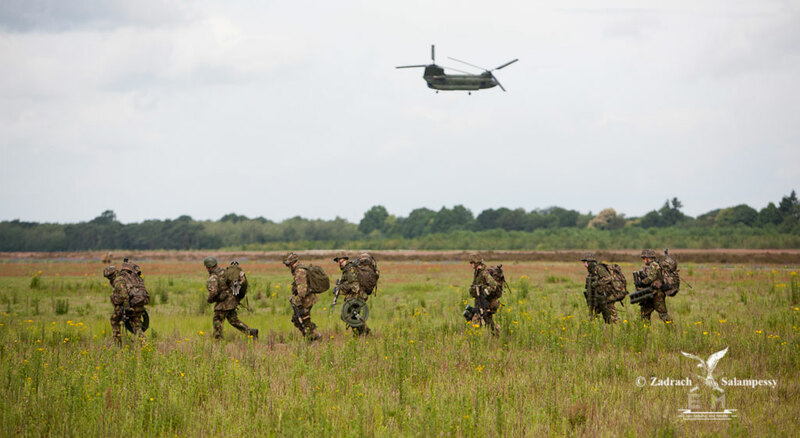 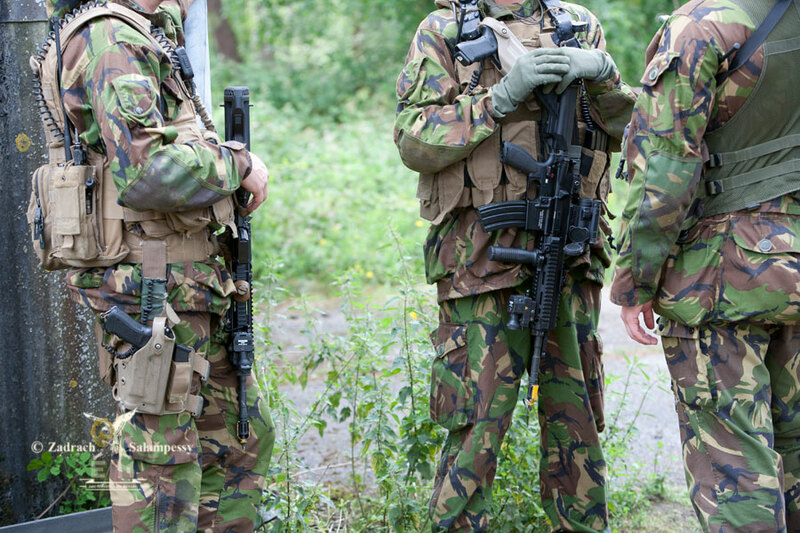 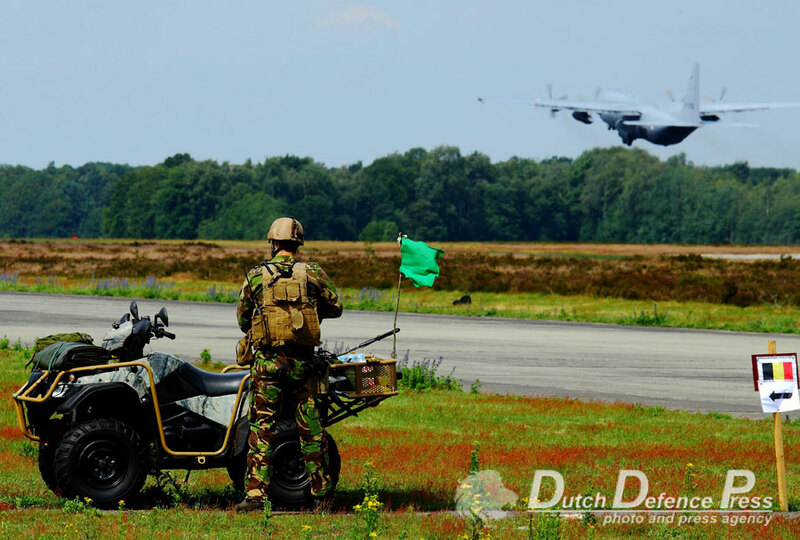 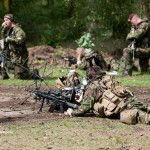 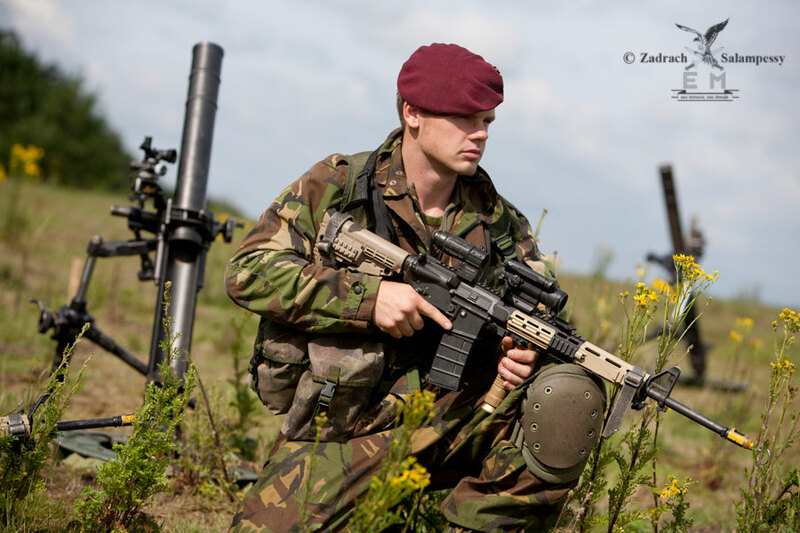 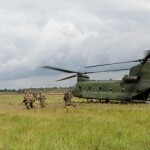 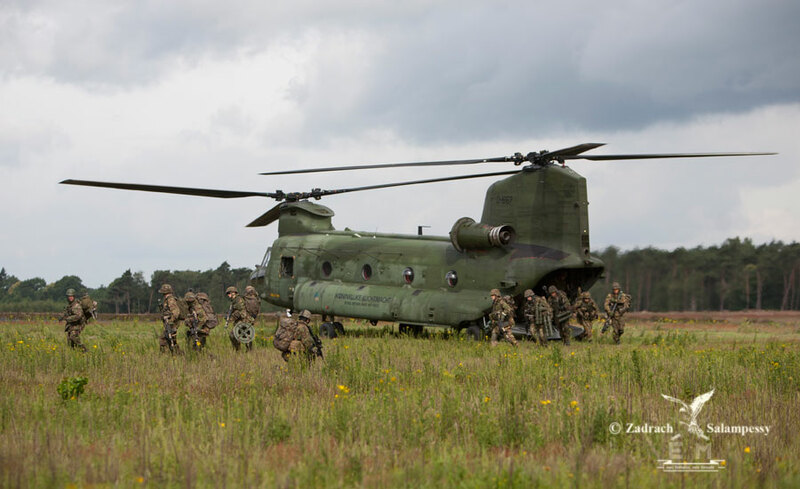 Dutch and Belgian army special forces as well as a reinforced Dutch air assault infantry company provided the ground component which was organised into a number of special operations task groups (SOTG) for this occasion. 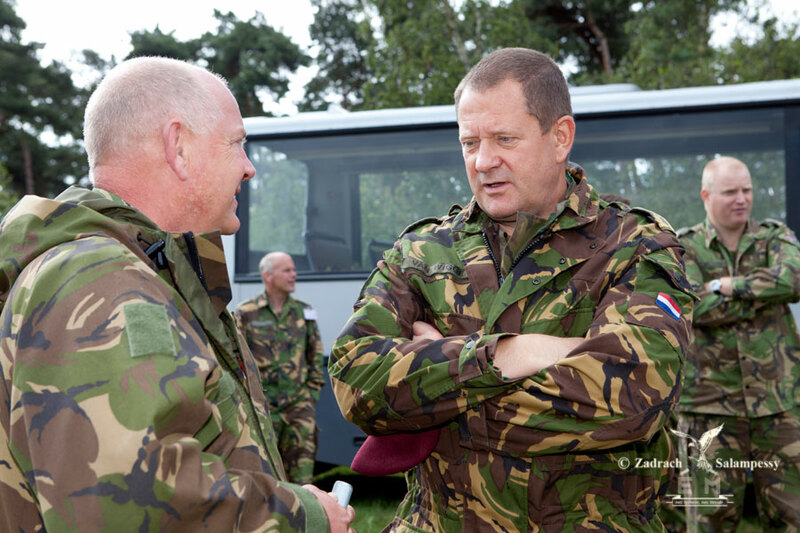 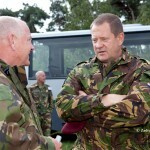 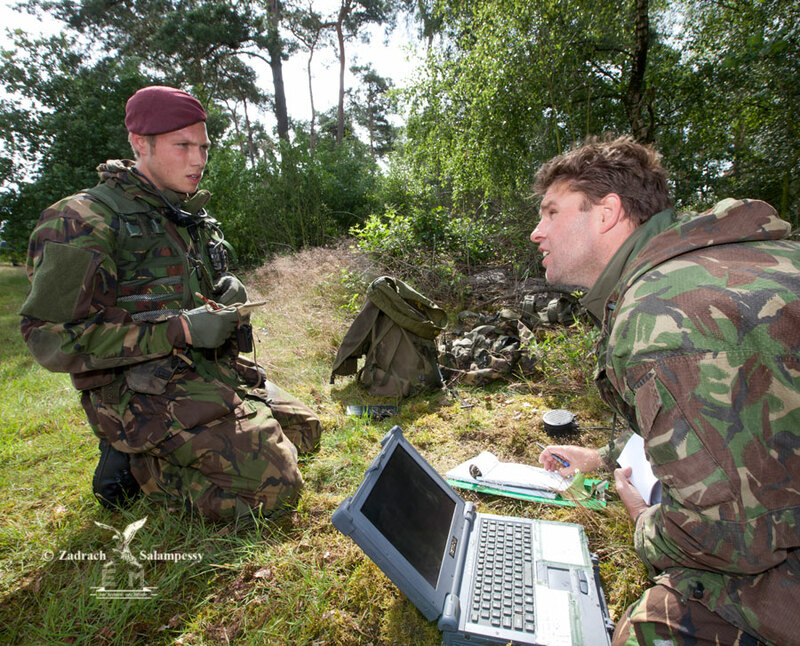 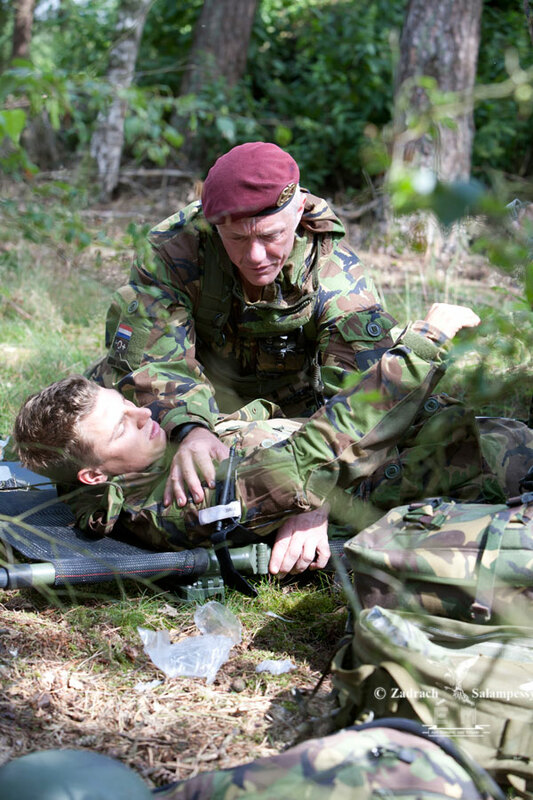 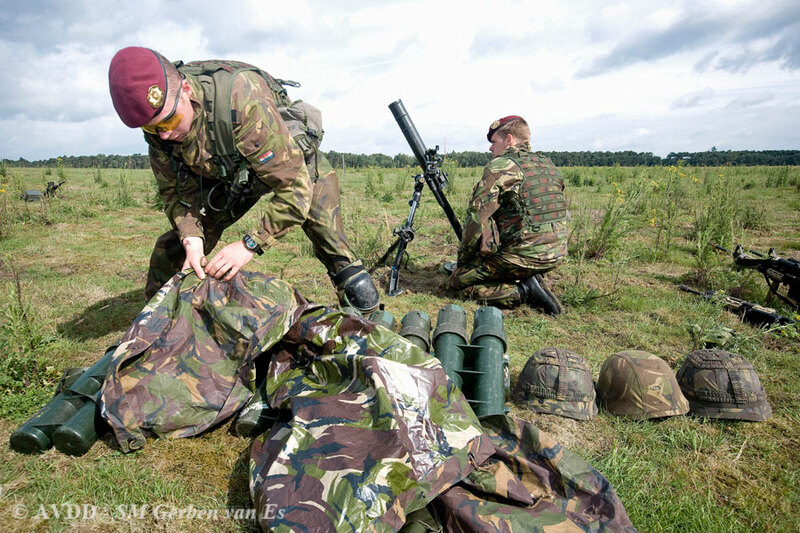 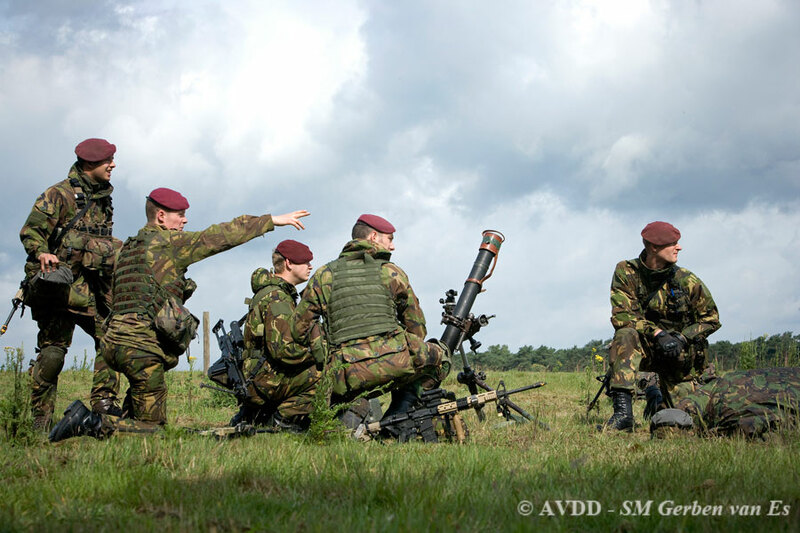 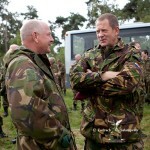 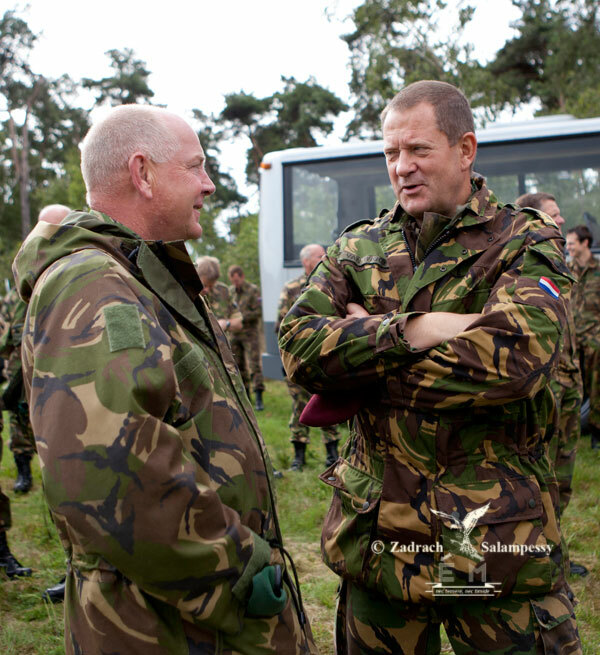 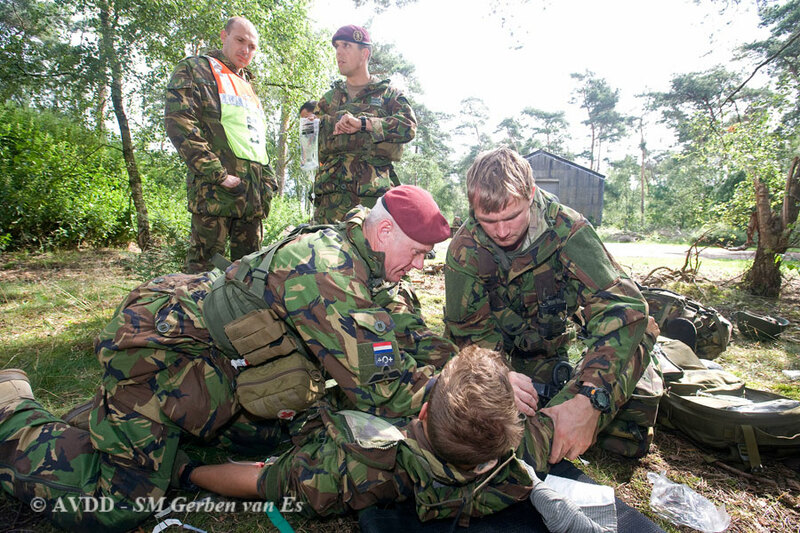 These SOTGs were led by a combined joint forces special operations component command (CJFSOCC) which housed at Woensdrecht AB during ‘Lowlands’. 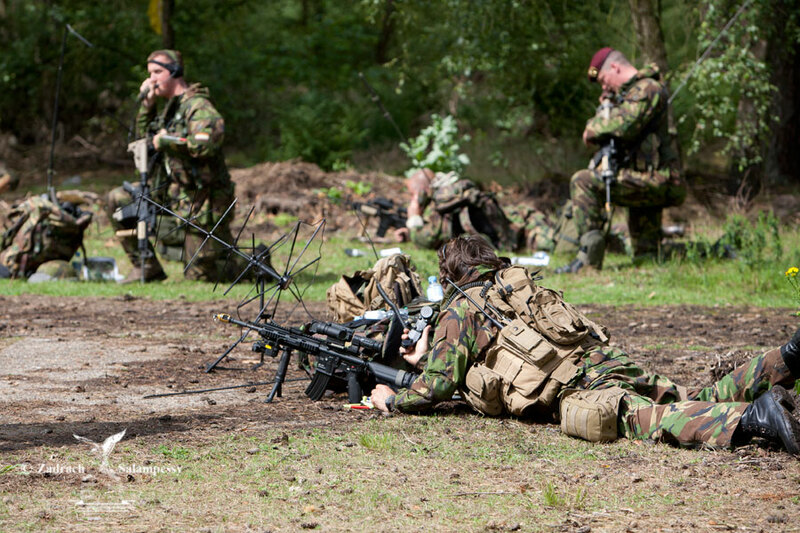 Woensdrecht also figured as a forward operating base (FOB). 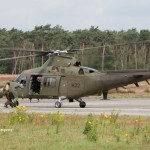 Participating helicopters were refuelled here repeatedly during the exercise. 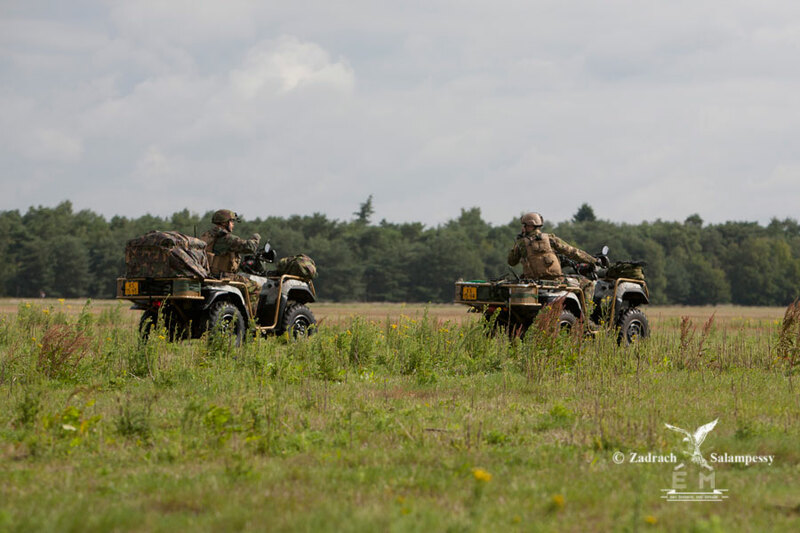 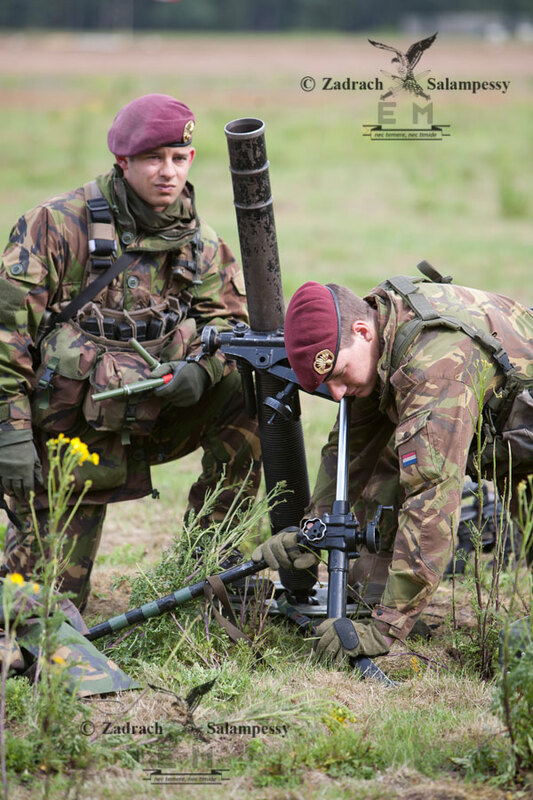 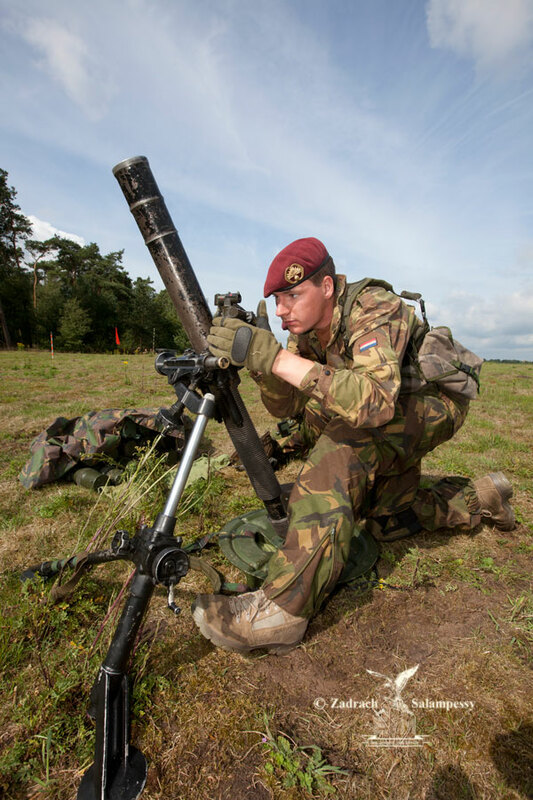 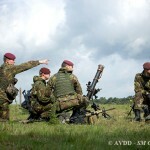 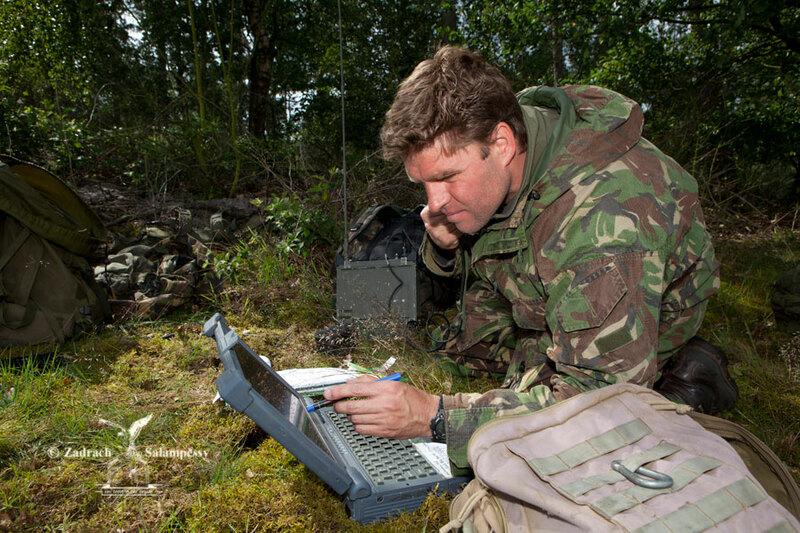 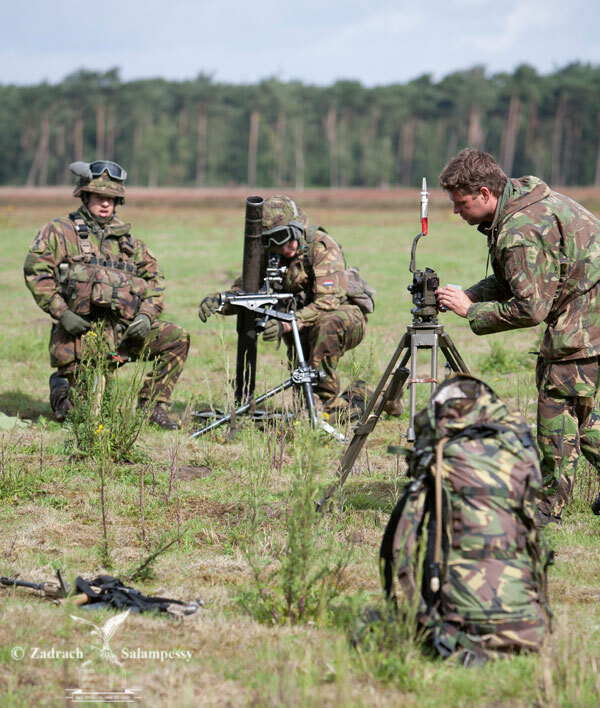 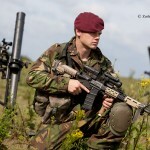 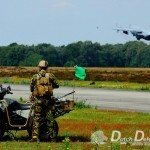 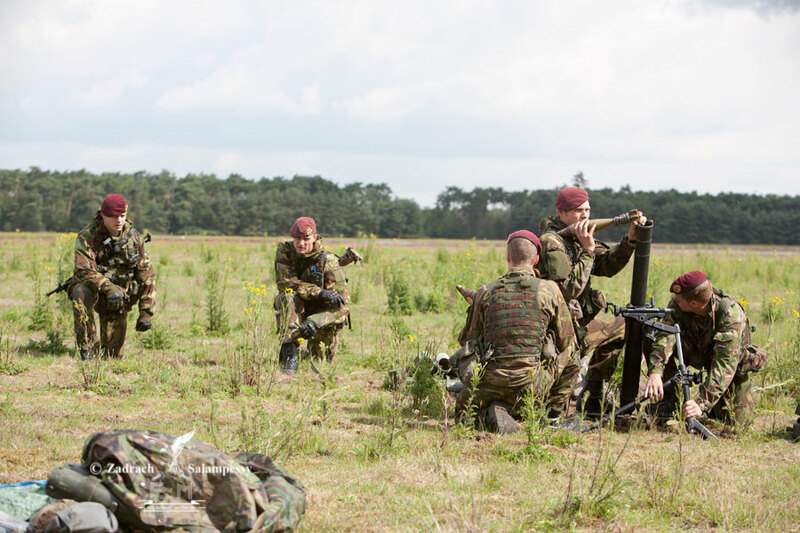 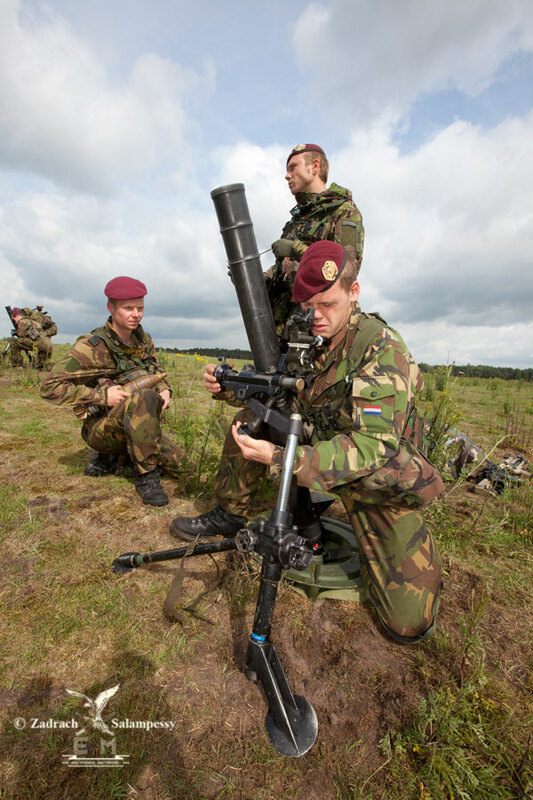 Various locations in the Dutch-Belgian border area were successively targeted by alternating, individual SOTGs during the course of the exercise in the second half of June, some of which were former Belgian airbases. 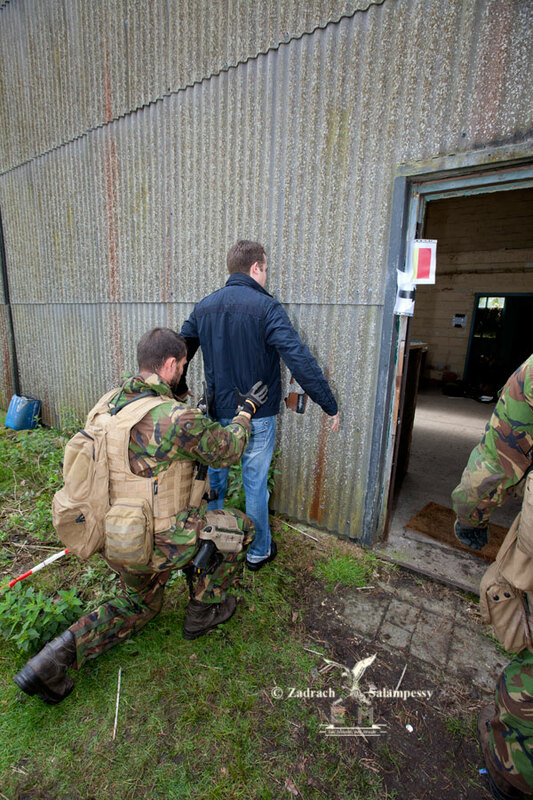 Brasschaat was the scene of a hostage release operation (HRO) conducted by a helicopter assault force special operations task unit (HAFSOTU). 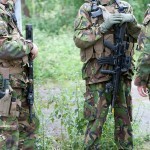 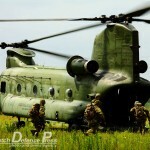 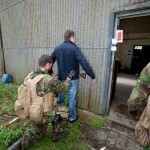 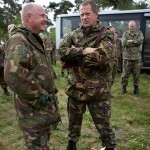 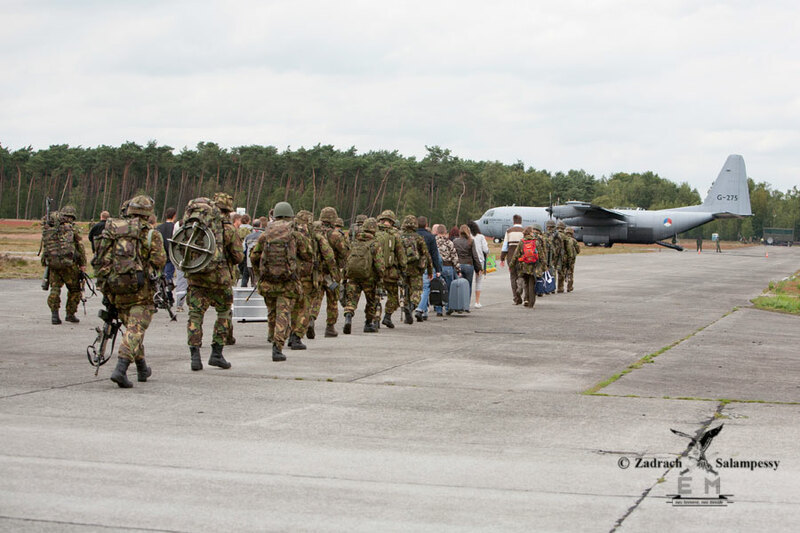 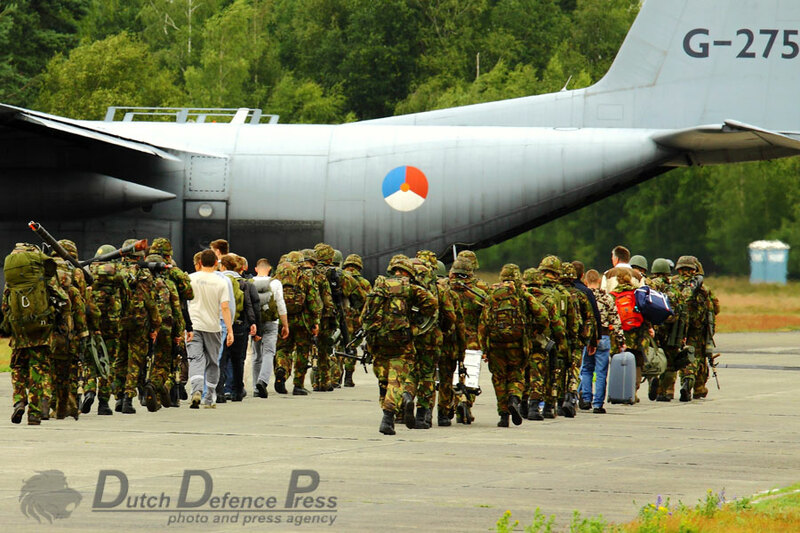 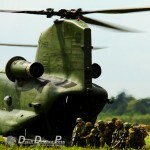 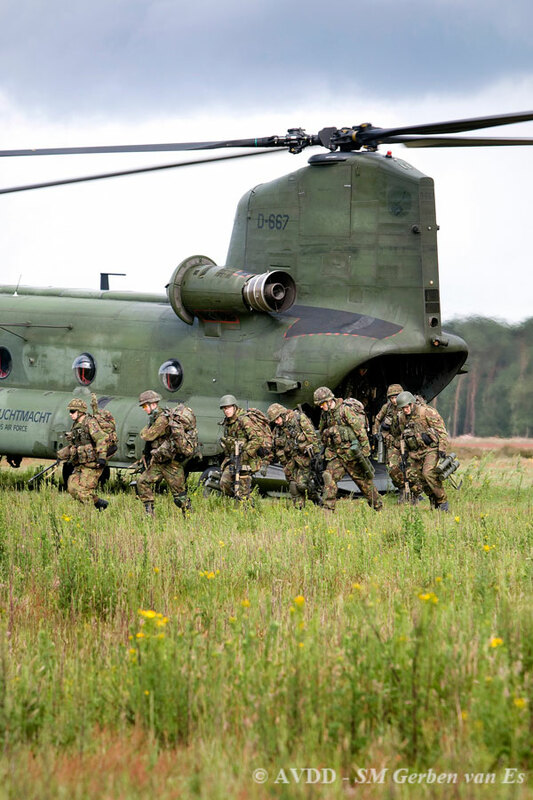 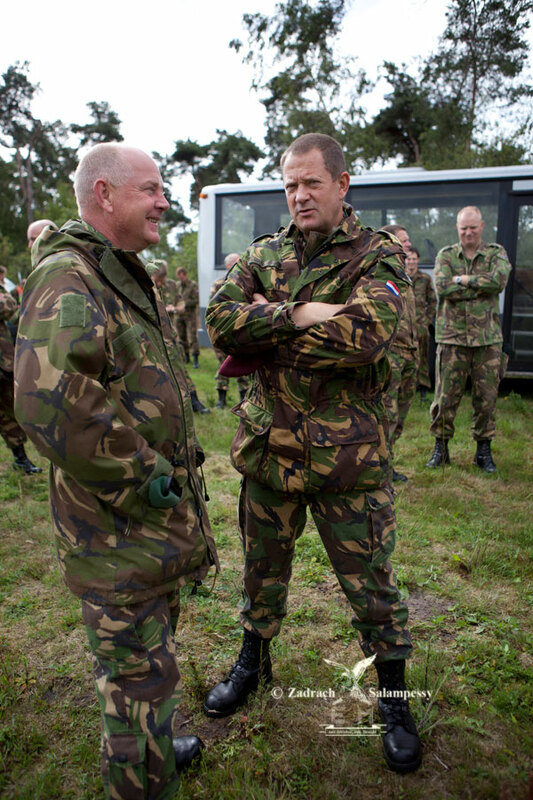 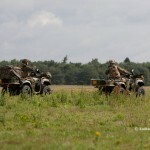 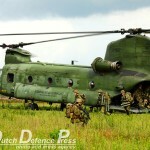 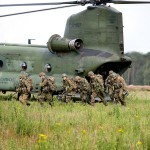 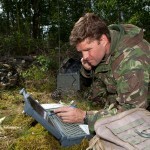 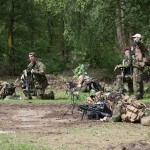 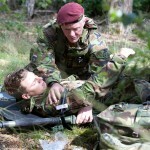 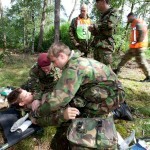 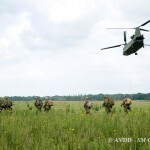 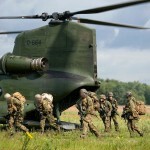 A noncombatant evacuation operation (NEO) was conducted at Weelde on June 21st, 2011. 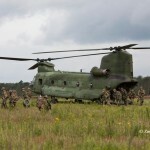 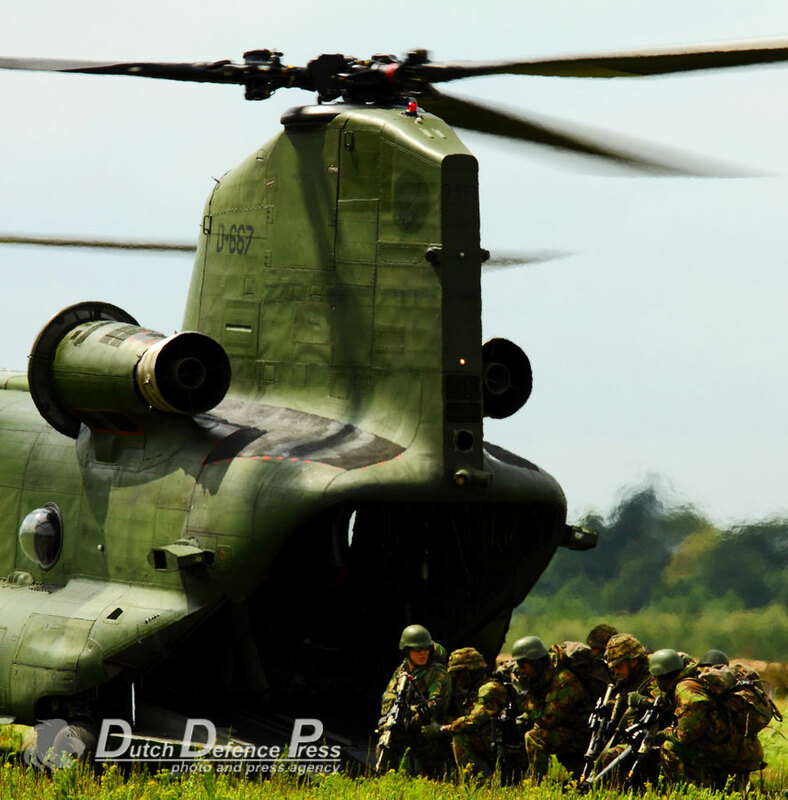 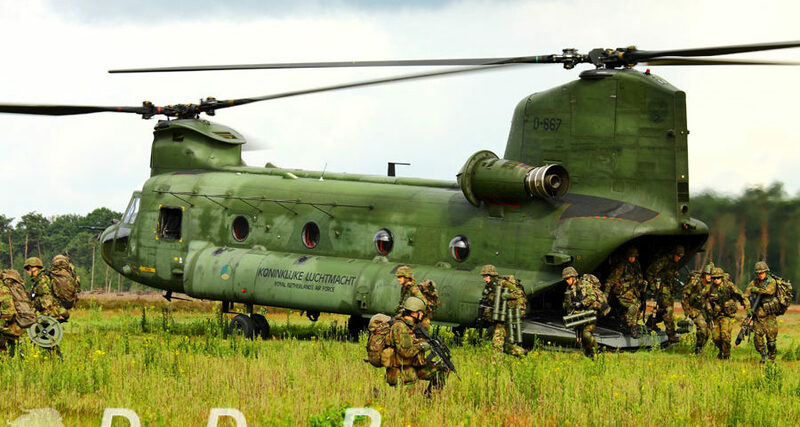 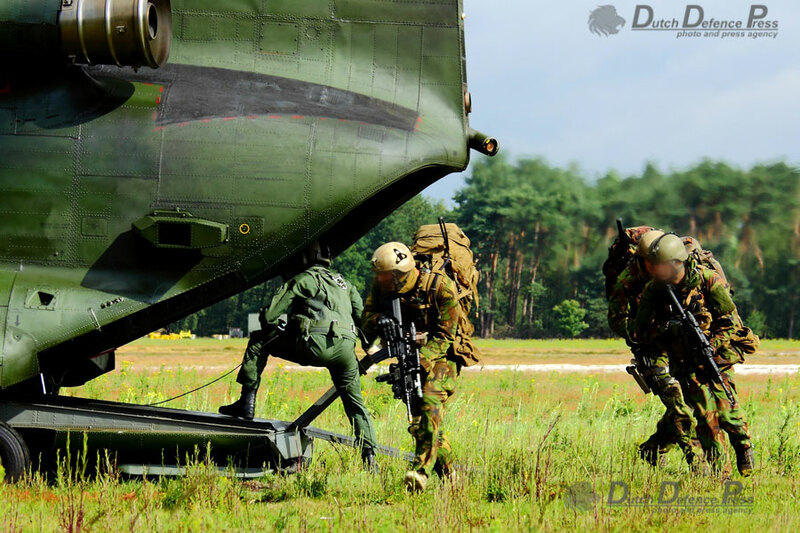 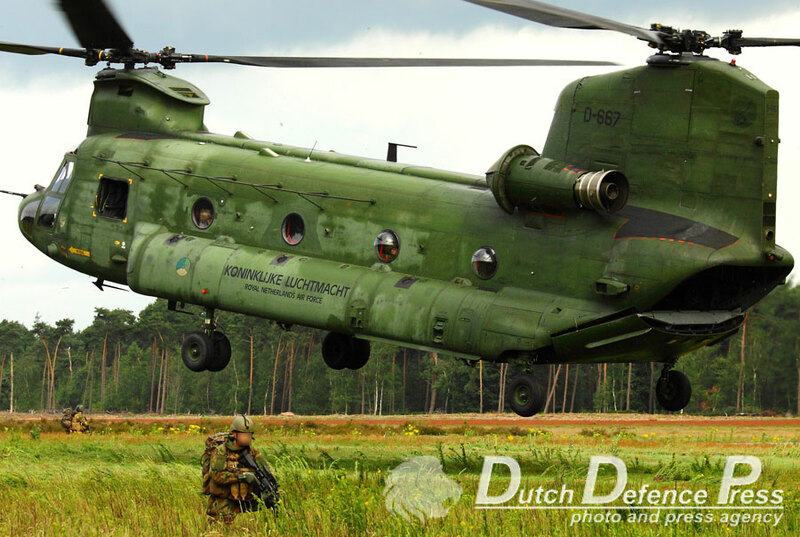 The operation at Weelde was initiated by special forces being inserted by a single CH-47D instead of by military freefall parachute jump, as planned beforehand. 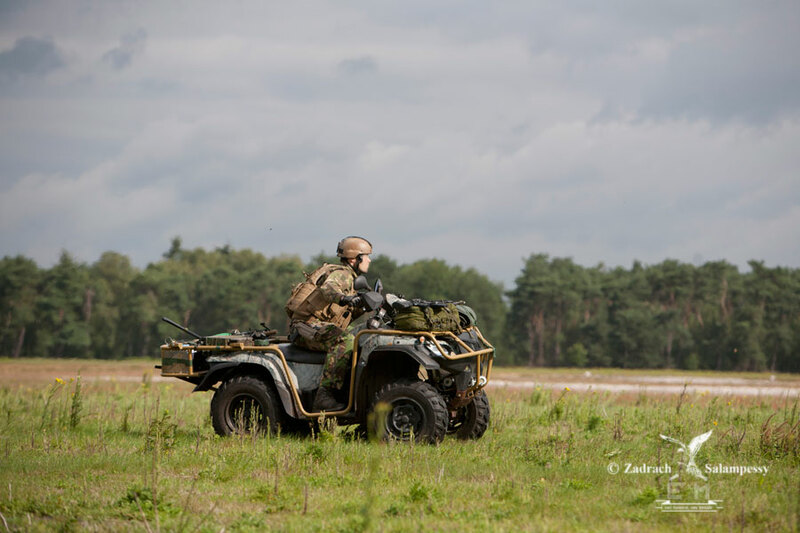 This special operations task unit (SOTU) disembarked with their fourwheel all-terrain vehicles providing much needed mobility. 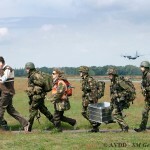 They methodically reconnoitred and secured the area surrounding the runway which was needed to bring in fixed wing transport to take out evacuees. 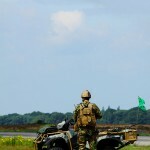 The runway and adjacent area were then checked and cleared of any mines and improvised explosive devices by airmobile engineers attached to the army special forces. 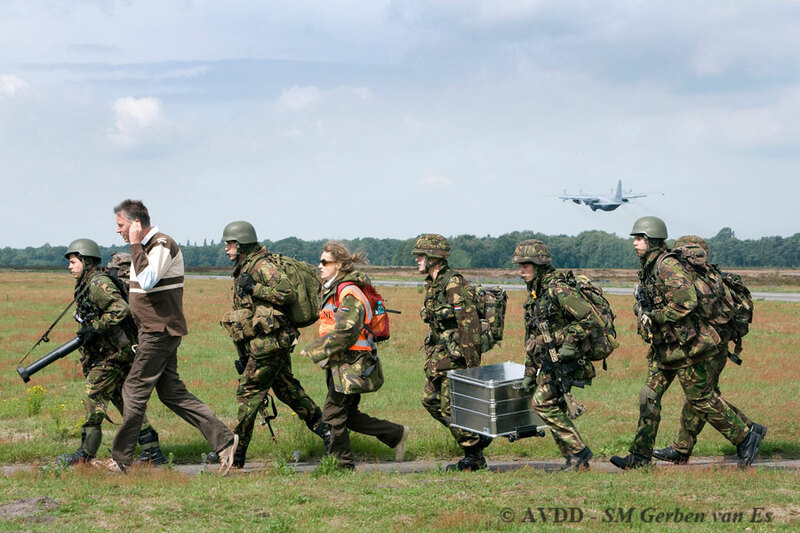 Meanwhile, contact with locally assembled embassy personnel was made as part of this simulated noncombatant evacuation operation. 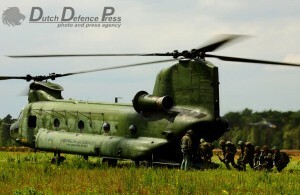 Another CH-47D came in soon to bring in a special operations support unit (SOSU) with its 81 mm mortars. 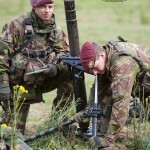 They quickly set up their mortars to provide fire support when needed. 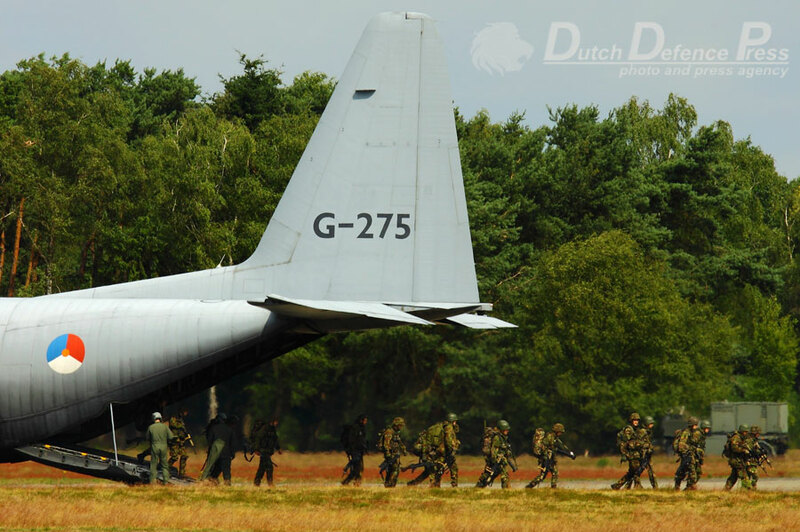 Shortly thereafter, a Dutch C-130 landed to offload a consular support team together with some reinforcements. 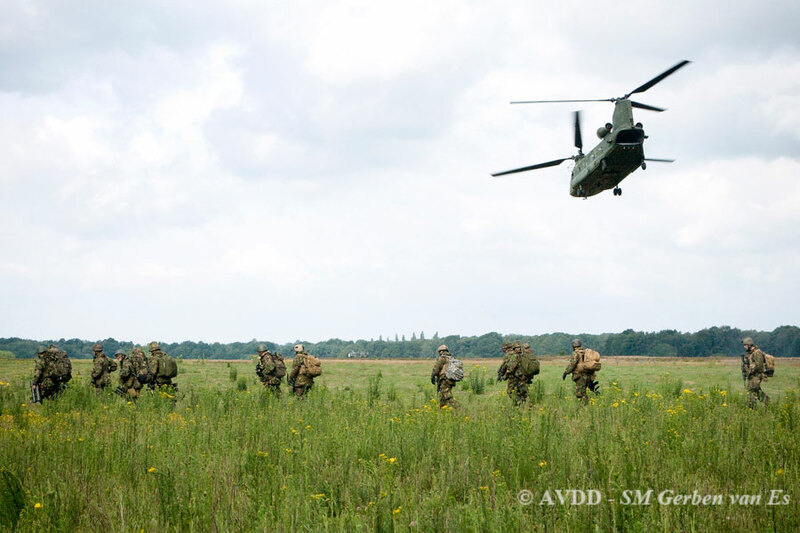 These air assault infantrymen provided additional security during the operation. 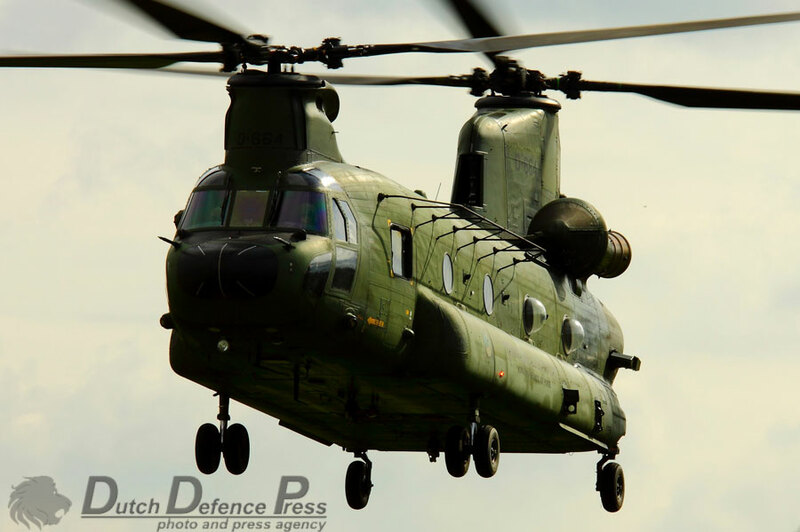 The Hercules rapidly took off again before returning to orbit near the area together with both Chinooks as these assets were needed again for the extraction. 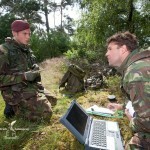 Embedded joint tactical air controllers (JTAC) silenced enemy reaction to the operation by providing adequate close air support (CAS) with F-16s circling overhead. 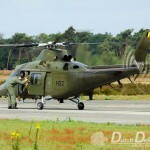 Casualties were taken care of by Belgian A109s performing as medevac helicopters. 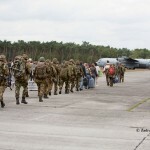 Evacuees were counted, screened and then marshalled towards the runway. 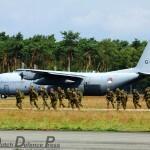 The C-130 had returned in order to take them and the escorting infantrymen on board. 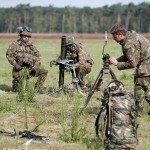 The mortar teams were no longer needed and were taken out by C-130 as well. 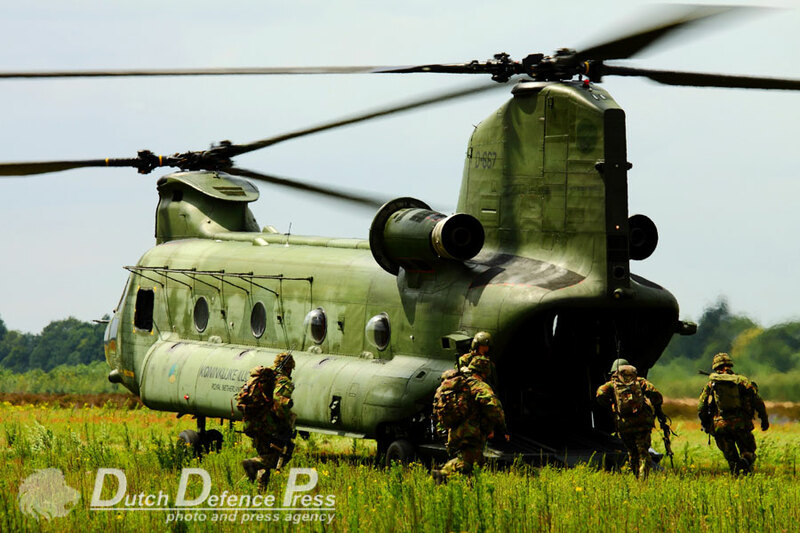 By the time the C-130 had disappeared from sight, both Chinooks swooped in to extract the last remaining elements of the ground component. 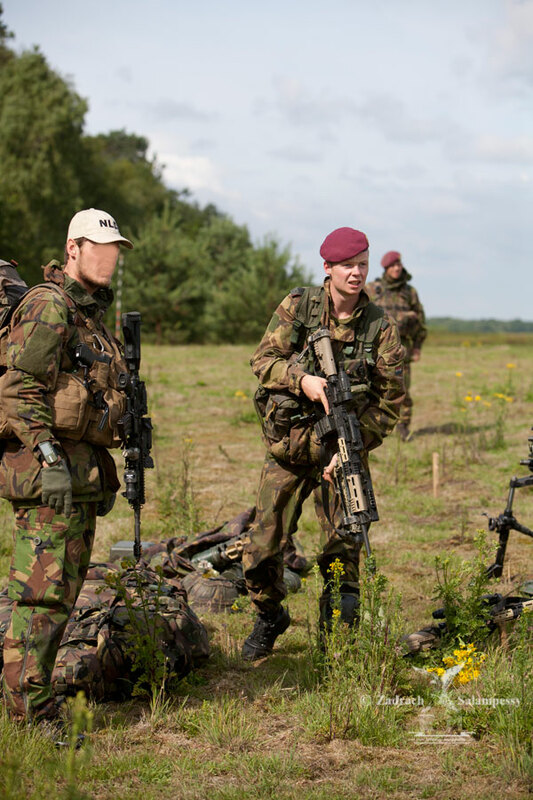 According to NATO doctrine, a SOTG is a national grouping of land/maritime/air special operations forces. 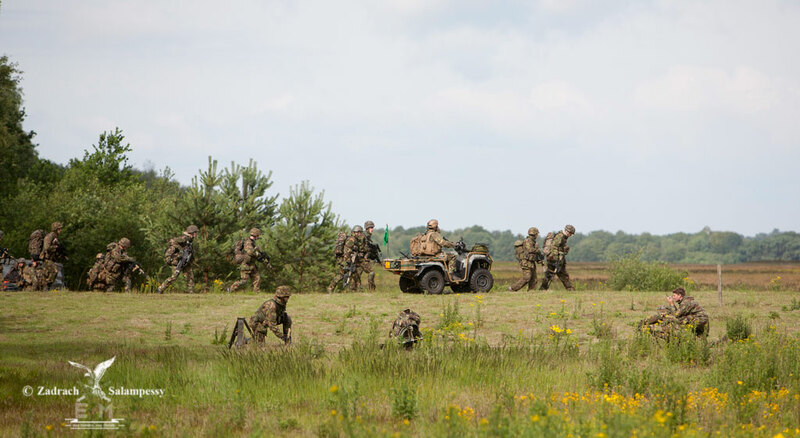 Royal Netherlands Army (RNLA) Special Forces Regiment (SFR) companies are planned to conduct this SOTG kind of exercises on a regular basis. 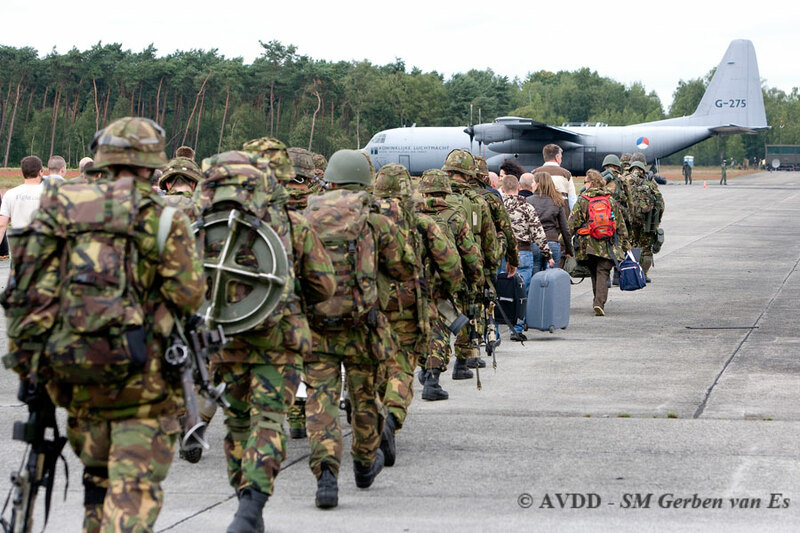 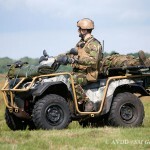 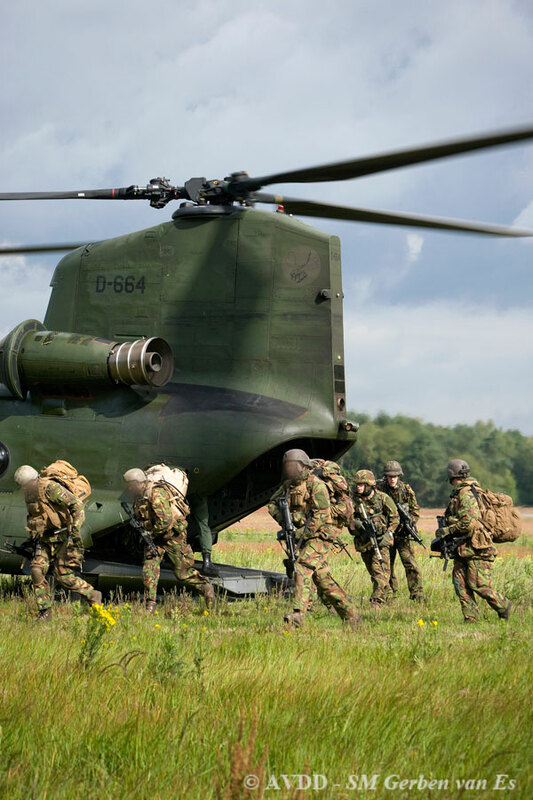 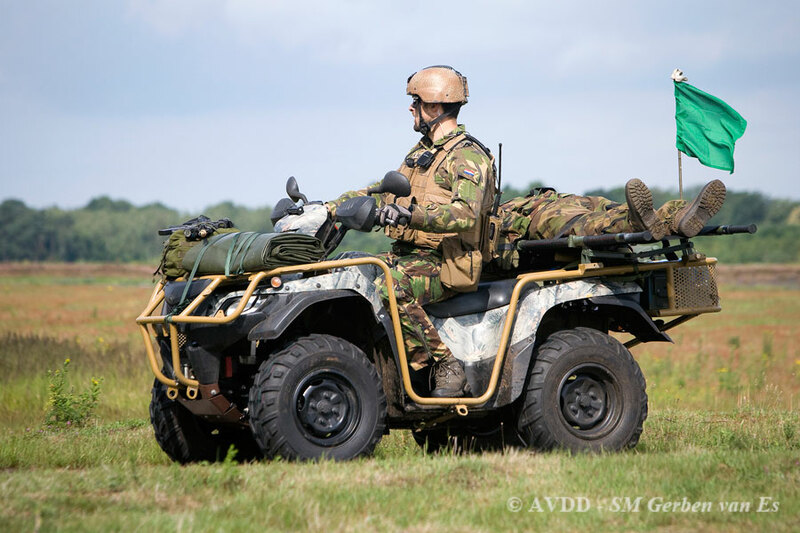 When needed or appropriate, special operations capable forces from the Special Tasks Battle Group of 11th Airmobile Brigade (Air Assault), equivalent to UK’s 16th Air Assault Brigade, and other Dutch defence force elements are added. 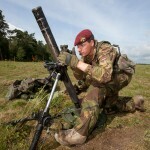 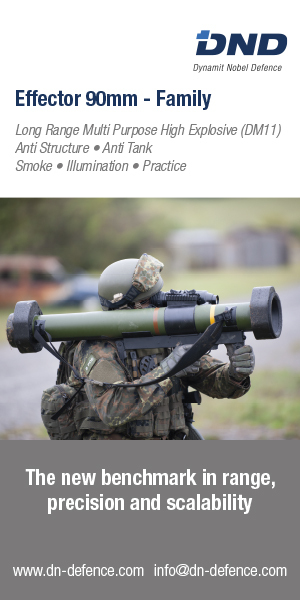 They can provide additional infantry capacity, fire support (JTAC/mortar), or engineer support. 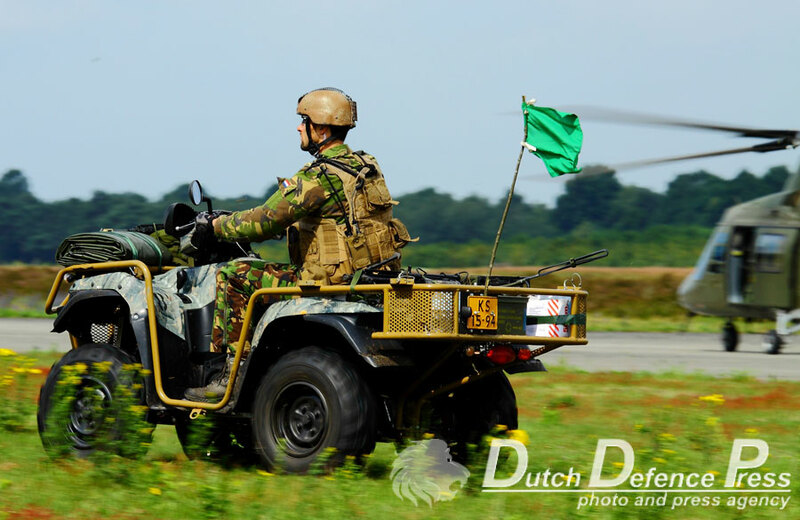 These conventional forces enable Dutch special forces to provide full spectrum special operations, whether foreseeable or non-foreseeable. 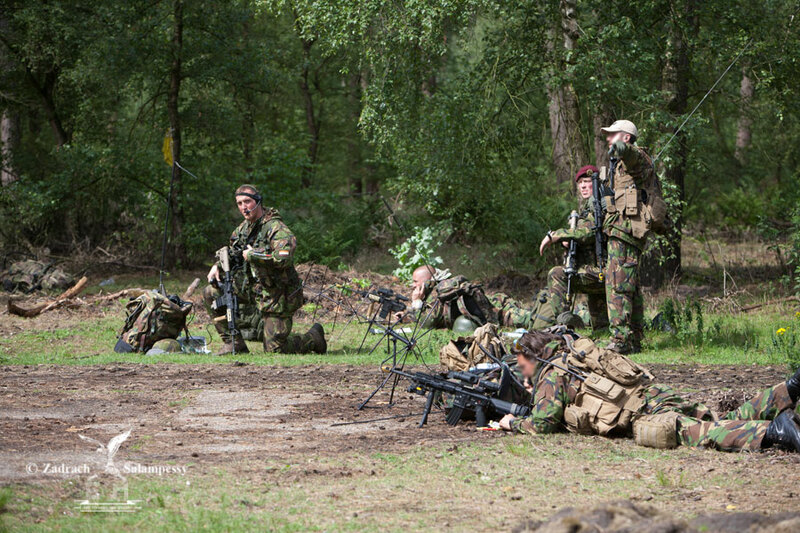 The RNLA Special Forces Regiment consists of four operational companies, each of which can form the core of a SOT. 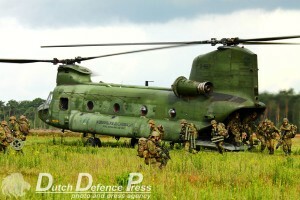 Flight 5,a unique RNLAF CH-47 flight, part of 298 Squadron, is designated to support these units in conducting special operations. 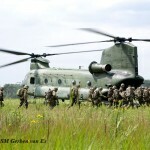 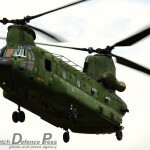 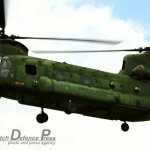 Its aircrews will start operating CH-47F Chinooks in the near future. 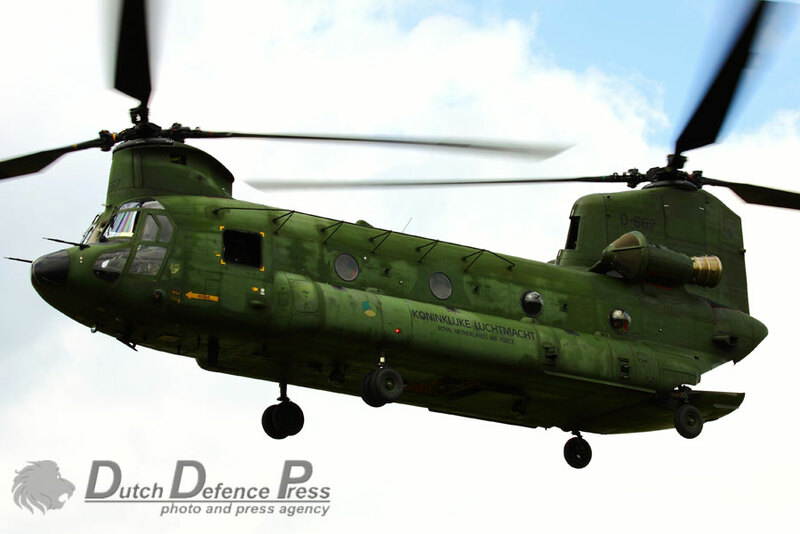 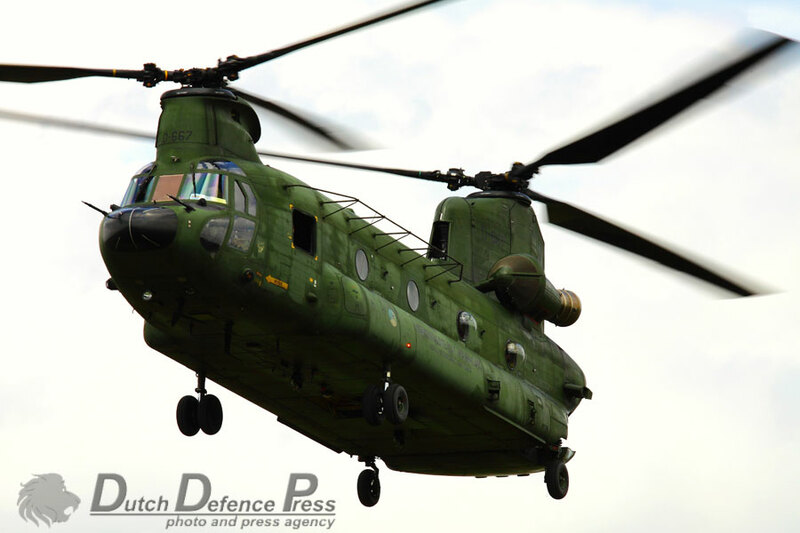 The first two new-built CH-47Fs will be delivered to Gilze-Rijen, home of 298 Squadron, later this year to conduct operational testing and evaluation (OT&E) and operational conversion of CH-47D instructors. 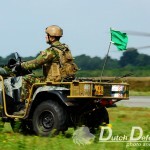 The next three will go to the Joint Netherlands Training Detachment (JNTD; new unit name instead of former name of Netherlands Apache Training Detachment-NATD) at Ft. 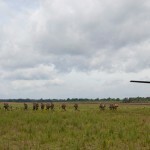 Hood, Texas, which already operates 8 AH-64Ds. 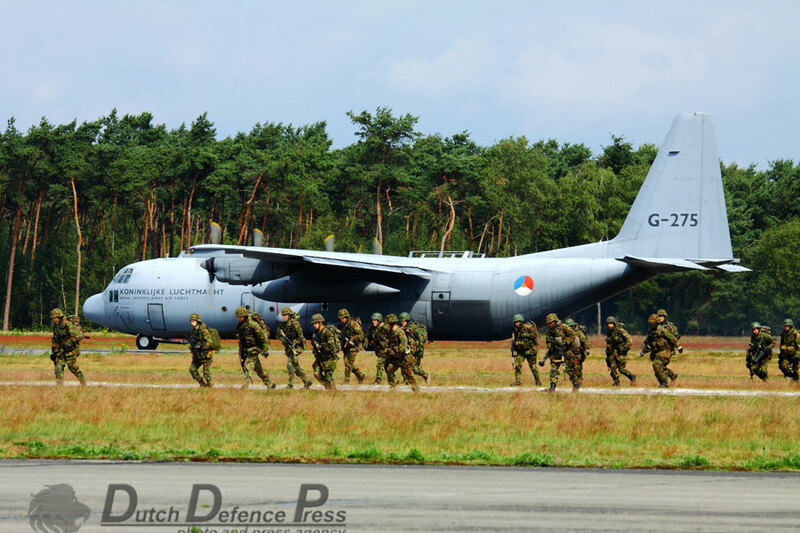 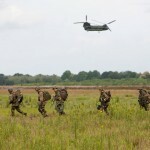 They will support company-level exercises, five of which will be held every year by the Dutch defence forces (initial Foreign Military Sales contract for use of US training facilities spans from 2011 to 2014). 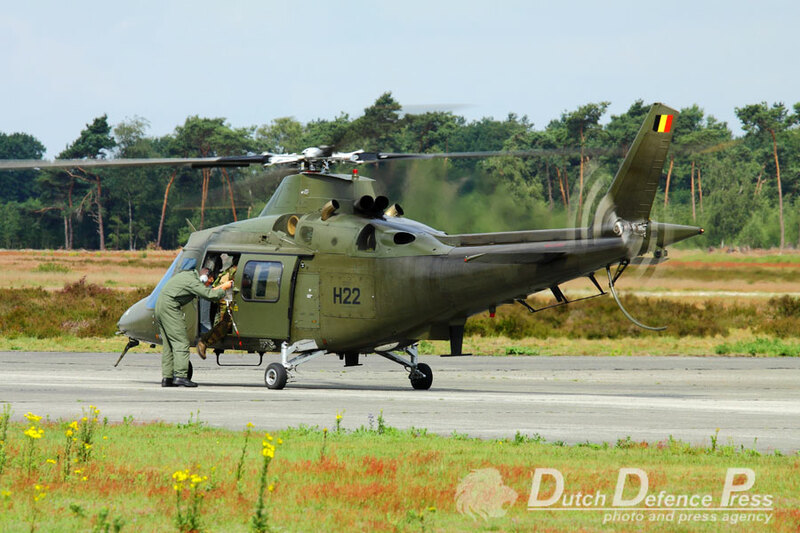 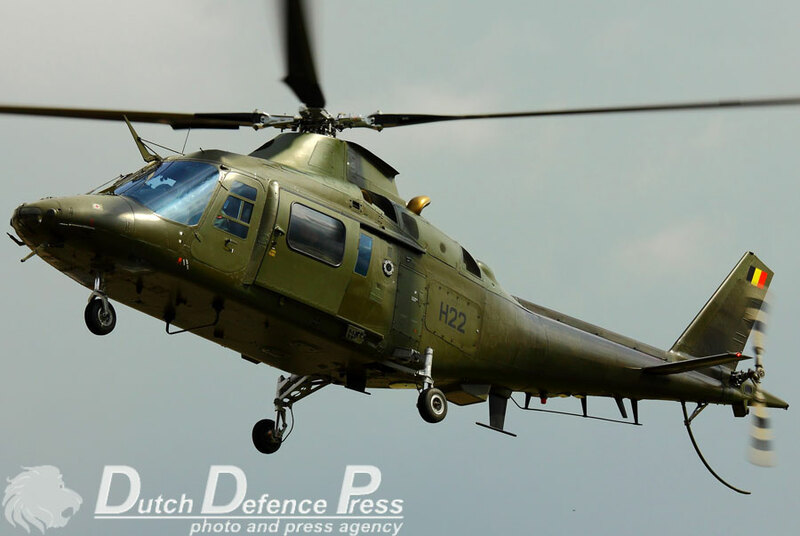 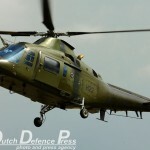 The last airframe will be delivered to Gilze-Rijen as well. 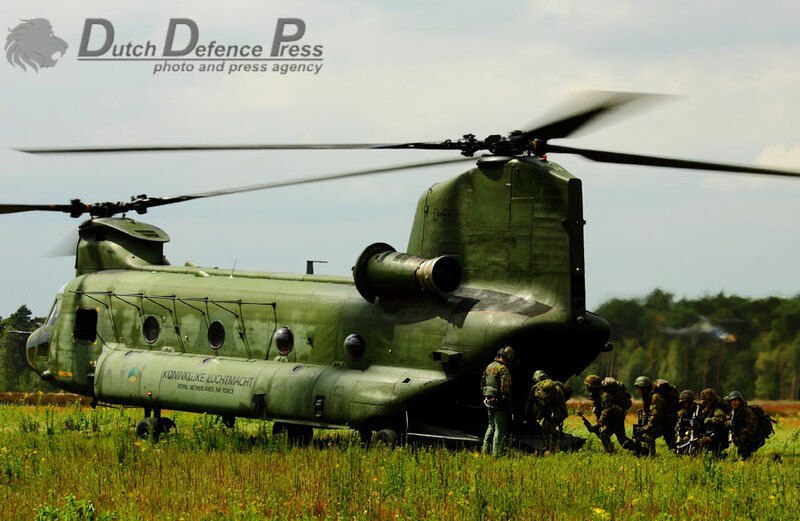 From 2014, the current fleet of 11 CH-47Ds (out of 13 delivered; two were lost during operations in Afghanistan) will be inducted into a midlife update programme to bring those up to CH-47F standard. 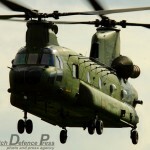 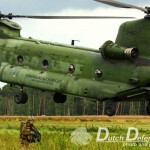 All Dutch F-model Chinooks will get provisions for carrying a specialised SF kit of which four will be bought.